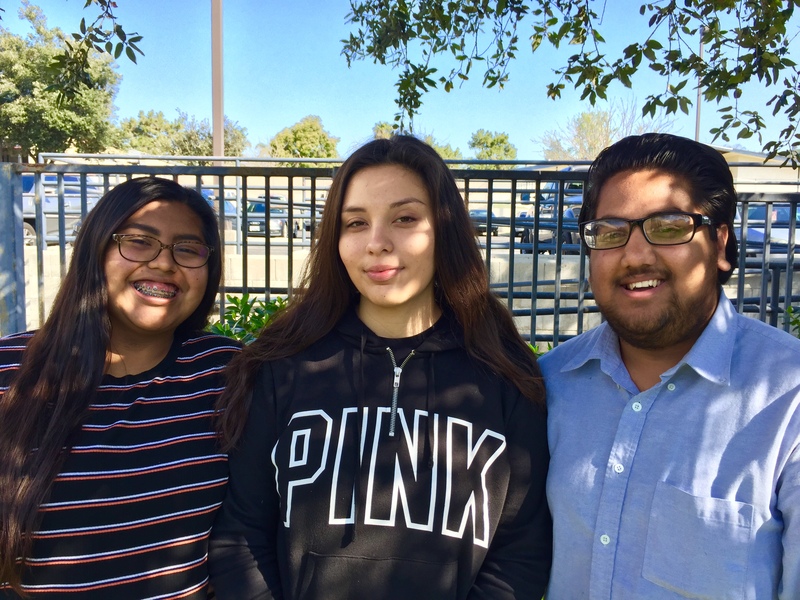 Seniors Jocelyn Soriano, Jay Garcia and Josiah Beharry were responding to the question of how Foothill’s Advancement Via Individual Determination (AVID) program has changed their futures. In addition to their individual drive, AVID helped put them “on track for college,” as Beharry said. AVID is a nonprofit system that collaborates with around 6,000 elementary to upper-level schools to provide student-centered learning resources. In between pauses of wide-eyed fascination, Soriano expressed her surprise. “I would have never imagined myself getting into seven colleges. I got into college. That’s crazy. I’m still like ‘what the heck…’ I’m surprised. I just can’t believe it,” she said. “It’s a class made up of minorities because we don’t come from affluent families. We come from families who’ve struggled with going to college, going to school, staying in school. A lot of us are even the first to graduate high school. We don’t have the support or information from our families, so we’re just trying to do that on our own,” Beharry explained. “They understand and congratulate you for the ‘small’ things,” Garcia said. These “small things” are oftentimes not small at all, but instead overlooked. “AVID helps you learn certain life skills for the future that no one else will help you with,” Garcia said. For example, AVID’s sophomore year curriculum features literature from authors that have similar backgrounds to the students in the class — either first-generation college students or ethnic minorities.